When Minneapolis’ Chain of Lakes trails are overcrowded, but you still want to get your run in; then travel across town to St. Paul’s 3.1-mile paved trail around Lake Phalen. While Minneapolis has been in the limelight for the last few years, getting recognition from news sources about “bike friendly-ness” and having the “best running trails,” little do Minneapolitans know that St. Paul offers some great running trails as well. 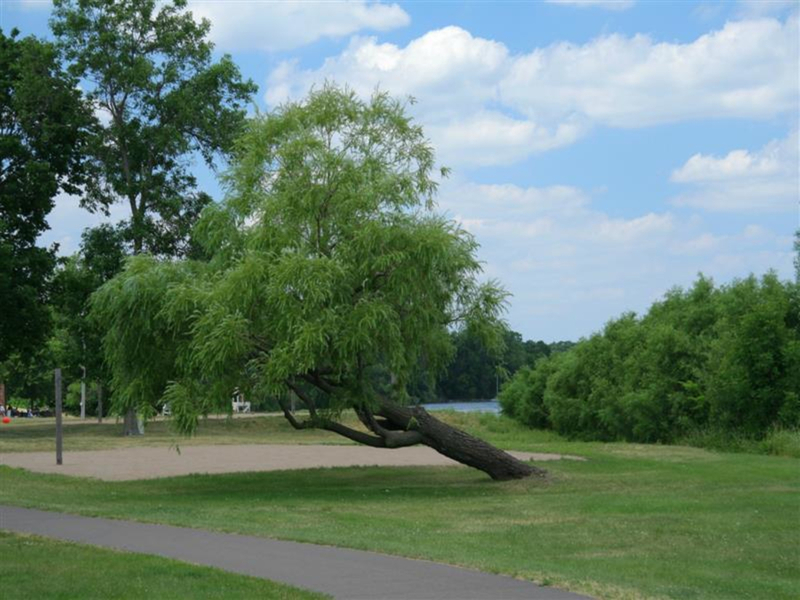 One example is the 3.1-mile paved loop around the scenic Lake Phalen. 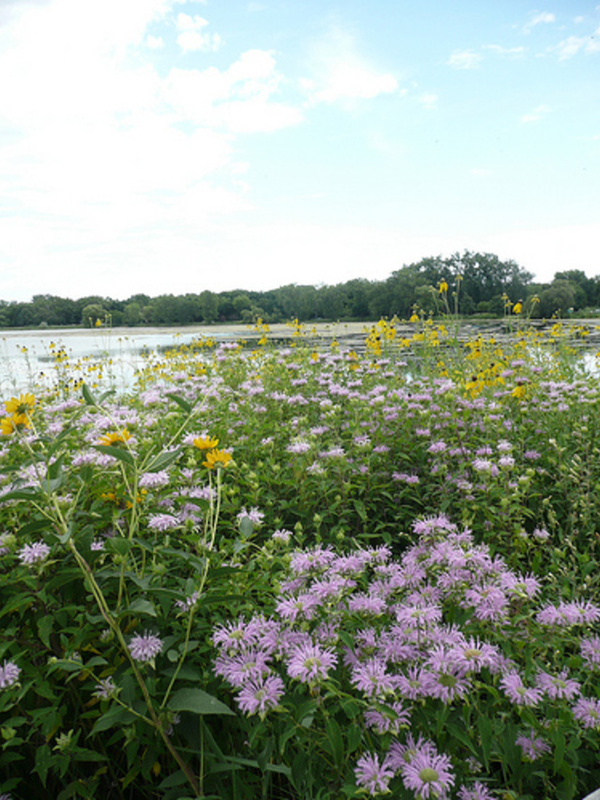 A well-kept secret by the local community, Lake Phalen is tucked away in northeastern St. Paul. From the southern parking lot, start your run heading northeast. The eastern side of the lake is quieter and is popular for picnics along its banks. If you are running during the early spring, sneak glimpses through the hardwood trees that border the lake, sometimes you can see a group of migratory loons bobbing in the water. With the loon calls and the stately oaks, sometimes Lake Phalen can feel like Minnesota’s northern woods. When you reach the northern section, you have the choice to make a tight left and follow Lake Phalen southwest or you can turn right and cross over the bridge to run around Round Lake. Offering a wetland with tall marsh grasses, an amphitheater, and a small island to explore, Round Lake adds an extra mile to your run. The island is a popular picnic spot and features one public fire ring. The most scenic section of the entire run, take a moment to appreciate the urban wetland ecosystem that has magically survived the last century of development around its borders. The trail reconnects with the Lake Phalen Loop and continues south to the livelier section. In the southwest portion of the trail, you pass by the Lakeside Activities Center, sand volleyball courts, tennis courts, barbecue grills, and a picnic shelter. The man-made beach is the main attraction in this area. On a warm summer day, there is nothing better than taking a quick dip in Lake Phalen’s cool waters. If you are feeling parched, there are drinking fountains nearby at the bathroom and concession building. Though this lake doesn’t offer the convenience of grilled food right off the lake, like its Lake Calhoun counterpart, there are still nearby well-reviewed restaurants only a few blocks away. The last stretch past the beach is flat and easy and offers great views of Lake Phalen’s oldest homes. If you don’t feel like you have gotten enough of a workout, then finish off your 3.1-mile run with a sprint back to the parking lot. With even more trails to the north, it is easy to extend your run. Keller Golf Course and the 750-acre Keller Regional Park offer even more running trails along Keller Lake. If you want to explore more of St. Paul’s running culture, Como Park offers some great running options as well. Locals come to Lake Phalen to walk, bicycle, swim, sail, and, most importantly, run. A lot hillier than the Minneapolis alternatives, Lake Phalen is perfect for runners wanting to work on their glutes and improve their hill endurance. After spending many afternoons and evenings sharing the trail with hundreds of people at the Chain of Lakes, it will be a nice change of pace to run around Lake Phalen’s quiet shores. Lake Phalen is open from sunrise to 11p.m. Though this park is safe during the day, it is not recommended to run at dusk or at night; it is a city after all. Plan accordingly if you decide to run in the evening. Most runners park at the southern parking lot, just off E Shore Drive.